Rug Cleaning Queens Service. $59 Area Rug Cleaning. 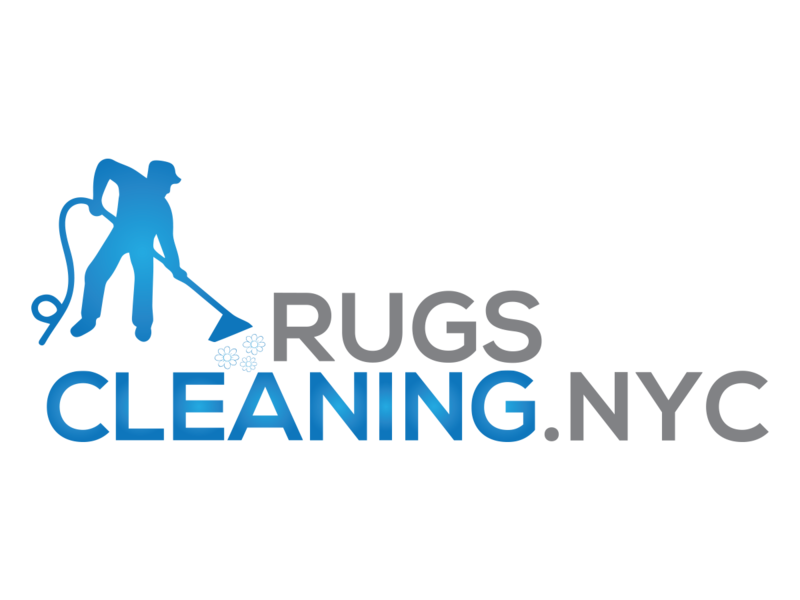 RugsCleaning.nyc company offers professional rug cleaning services for Queens residents. 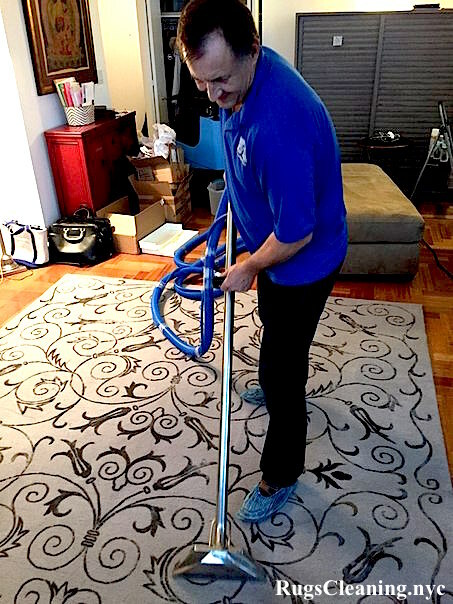 Give our technicians to deal with your even the filthiest rugs and you will not recognize them after our thorough cleaning professional procedure. Shampooing stage (we use only best professional cleaning chemicals like PowerBurst from Prochem. * Our staff use special cover solutions for your floors to avoid any damages. Scotchgard protection (for avoiding of stains for longer time) . * by request (our price does not include this service). We employ only top-leading professional rug cleaning machines. Depending on the complexity of work project we use different cleaning equipment (starting from 120 up to 450 psi high-pressure steam). We don’t do pick up and delivery of your rugs because we prefer not to deprive our client from their beloved rugs. 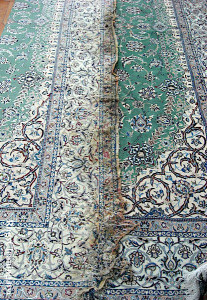 Furthermore, it could be harmful to use factory cleaning for certain types of rugs like old or antique rug types. 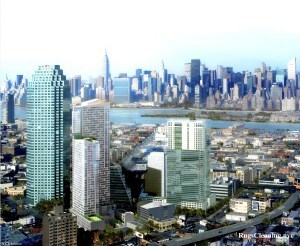 We will satisfy even the most demanding client with our 100% guaranteed satisfaction policy. If you are not satisfied with our services just give us a call and our technicians will come and redo the cleaning again until you will be satisfied completely. 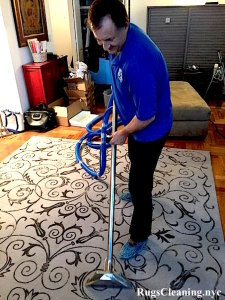 Rug Cleaning Astoria 11370, Rug Cleaning Corona 11368, Rug Cleaning East Elmhurst 11369, Rug Cleaning 11370, Rug Cleaning 11371, Rug Cleaning Elmhurst 11373, Rug Cleaning Forest Hills 11375, Rug Cleaning Glendale 11385, Rug Cleaning Hunters Point 11101, Rug Cleaning Jackson Heights 11372, 11370, Rug Cleaning Long Island City 11101,Rug Cleaning 11102, Rug Cleaning 11103, Rug Cleaning 11104, Rug Cleaning 11105, Rug Cleaning 11106, Rug Cleaning 11109, Rug Cleaning Maspeth 11378, Rug Cleaning Middle Village 11379, Rug Cleaning Rego Park 11374, Rug Cleaning Ridgewood 11385, 11386, Rug Cleaning Sunnyside 11104, Rug Cleaning Woodside 11377, Rug Cleaning Bayside 11359, Rug Cleaning 11360, Rug Cleaning 11361, Rug Cleaning Beechhurst 11357, Rug Cleaning Bellerose 11426, Rug Cleaning College Point 11356, Rug Cleaning Douglaston 11362, 11363, Rug Cleaning Flushing 11351, Rug Cleaning 11352, Rug Cleaning 11354, Rug Cleaning 11355, Rug Cleaning 11356, Rug Cleaning 11357, Rug Cleaning 11358, Rug Cleaning 11359, Rug Cleaning 11360, Rug Cleaning 11361, Rug Cleaning 11362, Rug Cleaning 11363, Rug Cleaning 11364, 11365, Rug Cleaning 11366, Rug Cleaning 11367, Rug Cleaning 11368, Rug Cleaning 11369, Rug Cleaning 11370, Rug Cleaning 11371, Rug Cleaning 11372, Rug Cleaning 11373, Rug Cleaning 11374, Rug Cleaning 11375, Rug Cleaning 11377, Rug Cleaning 11378, Rug Cleaning 11379, 11380, Rug Cleaning 11381, Rug Cleaning 11385, Rug Cleaning 11386, Rug Cleaning 11390, Rug Cleaning Floral Park 11001, Rug Cleaning 11002, Rug Cleaning 11003, Rug Cleaning 11004, 11005, Rug Cleaning Fresh Meadows 11365, Rug Cleaning 11366, Rug Cleaning Fresh Pond 11385, Rug Cleaning Glen Oaks 11004, Rug Cleaning Hillcrest 11365, 11366, Rug Cleaning Kew Gardens 11415, Rug Cleaning 11418, Rug Cleaning 11424, Rug Cleaning Kew Gardens Hills 11367, Rug Cleaning Linden Hill 11354, Rug Cleaning Little Neck 11362, 11363, Rug Cleaning Malba 11357, Rug Cleaning Oakland Gardens 11364, Rug Cleaning Pomonok 11365, Rug Cleaning Richmond Hill 11418, Rug Cleaning Whitestone 11357, Rug Cleaning Willets Point 11368, Rug Cleaning Howard Beach 11414, Rug Cleaning Ozone Park 11416, Rug Cleaning 11417, Rug Cleaning Rockaway 11690, Rug Cleaning 11691, Rug Cleaning 11692, Rug Cleaning 11693, Rug Cleaning 11694, Rug Cleaning 11695, Rug Cleaning 11697, Rug Cleaning South Ozone Park 11420, Rug Cleaning 11436, Rug Cleaning Woodhaven 11421, Rug Cleaning Bellaire 11427, Rug Cleaning 11428, Rug Cleaning 11429, Rug Cleaning Briarwood 11435, Rug Cleaning Cambria Heights 11411, Rug Cleaning Hollis Hills 11427, Rug Cleaning Hollis 11423, Rug Cleaning Jamaica 11405, Rug Cleaning 11411, Rug Cleaning 11412, Rug Cleaning 11413, Rug Cleaning 11414, Rug Cleaning 11415, Rug Cleaning 11416, Rug Cleaning 11417, Rug Cleaning 11418, Rug Cleaning 11419, Rug Cleaning 11420, Rug Cleaning 11421, Rug Cleaning 11422, Rug Cleaning 11423, 11424, Rug Cleaning 11425, Rug Cleaning 11426, Rug Cleaning 11427, Rug Cleaning 11428, Rug Cleaning 11429, Rug Cleaning 11430, Rug Cleaning 11431, Rug Cleaning 11432, Rug Cleaning 11433, Rug Cleaning 11434, Rug Cleaning 11435, Rug Cleaning 11436, Rug Cleaning 11439, 11451, Rug Cleaning 11499, Rug Cleaning Laurelton 11413, Rug Cleaning Queens Village 11427, 11428, Rug Cleaning 11429, Rug Cleaning Rosedale 11422, Rug Cleaning Saint Albans 11412, Rug Cleaning South Jamaica 11435, Rug Cleaning 11433, Rug Cleaning 11436, Rug Cleaning 11434. Watch Video How We Clean. Apply For Our 20% Off Promotion & Get A Call From Us.